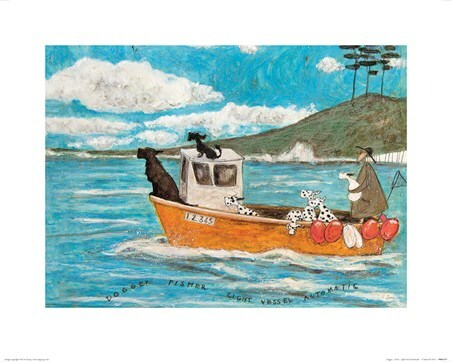 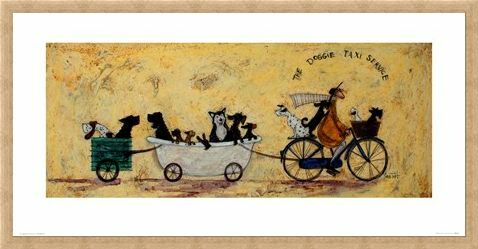 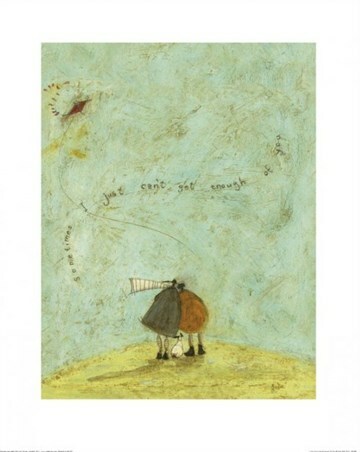 Art Print: British artist Sam Toft brings character and charm to her work once again with this gorgeous print. Featuring favourite character Mr Ernest Hemingway, this time he is providing a popular 'Doggie Taxi Service' for his pet dog Doris and all her friends! As Doris sits proudly in the front basket of Ernest's bicycle, a white bath tub and green crate full of other canine beings are also seen tagging along behind. 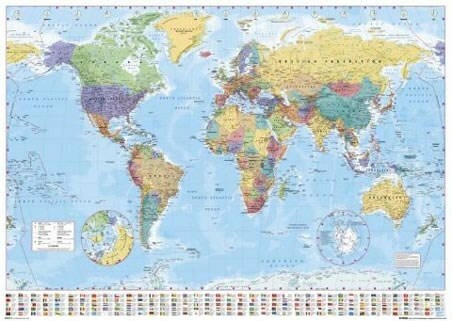 Set on a vibrant yellow background, this will add the perfect splash of colour to your wall.